The principle behind naturopathy is to look at a person from a holistic perspective, in other words, as an entirety. Each human is a complex being, consisting of a physical, emotional and spiritual body. The combination of these three elements creates the reality of our health state, and the absence of good health and wellness is termed as ‘dis-ease’. Naturopathy focuses on finding the cause of disease, rather than only treating the symptoms. 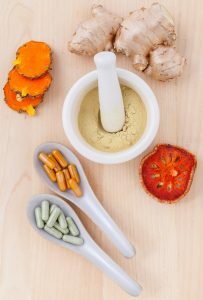 Naturopathy addresses nutrition as well as using additional tools such as herbal medicine and flower essences. Medical testing is also within my scope of practice. I bring BioFeedback technology & BodyTalk into a session if it seems appropriate and is desired by the individual. Alternatively BodyTalk & Reiki is available as a stand alone session. What conditions can be treated with naturopathy? Due to the nature of holistic treatment, an endless range of health concerns can benefit. The different elements of the service I offer have shown to be effective in supporting people of all ages for both acute and chronic illnesses, ranging from stress, insomnia and depression to digestive complaints, reproductive disorders, skin conditions, heart disease, respiratory problems and emotional distress.